Let’s change our NEET preparation into a game. There are two parts to a successful NEET preparation. The first part is learning and understanding the concepts and the second part is analysing and applying those concepts to solve problems. If you have already completed the learning of concepts, then it is time for you to take these practice questions so that you can improve your problem solving ability. This will help you to solve most of the questions in examination hall within blink of the eye. Even if you do not have good understanding of the concepts, you still can take these questions. They will provide you hints for you to solve the question. If you answer incorrectly, it will not only explain but also guide you to the right learning material to understand that topic. We learn games by doing it not just by learning the rules. Come, Lets Play. Nice Trick to improve marks in NEET. After identifying my weakness, I don’t know how to improve in that particular subject better but thanks to you, finally I got the trick. Click the subject link in this page and then click the topic name. You will get NCERT material, revision video and practice test question for that particular topic. What are you not getting manyaa? Just visit that link and take tests, after you get pass marks in topic tests, the progress bar will indicate the completion percentage. 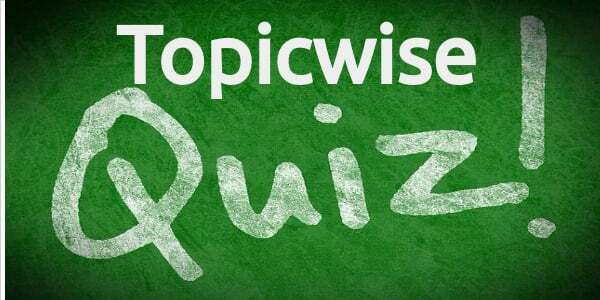 Topic wise tests are not starting how to start them..?? How I get conceptwise practice? we have only topic wise practice test. The revision video on cell structure and functions lesson is not getting play.it is showing that it has some error. Some Videos are not working from mobile. If you have desktop access it from destktop, otherwise Please copy the playlist id and search in google from the mobile to play the video directly from youtube. its very intresting to study.and it is good. i want to know tricks.how i can know this?